Charles Clover, a former Russia correspondent for the Financial Times, has just published an excellent new book on Eurasianism and Alexander Dugin with Yale University Press. Black Wind, White Snow: The Rise of Russia's New Nationalism covers much the same ground that Marlène Laruelle did in Russian Eurasianism: An Ideology of Empire (2012), and that I covered rather more briefly in Against the Modern World (expanded for the Russian translation), but with the benefit of new sources and perspectives. 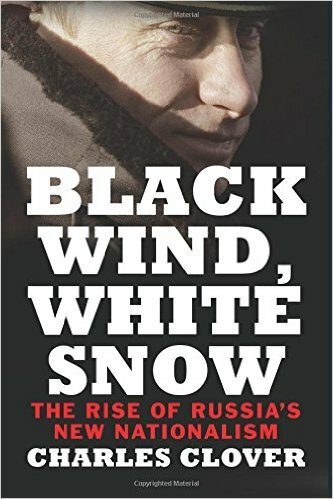 As one might expect of a book by an FT journalist Black Wind, White Snow is very nicely written, and as one might expect of a Yale publication, it is solidly sourced and grounded. Clover recognises the importance of Traditionalism for Dugin's earlier years, and then emphasises Alain de Benoist as well as Lev Gumilev. In one sense, from the perspective of Eurasianism, this is quite right: Guénon never developed views on Russia or geopolitics. But Traditionalism is not irrelevant. The basic framework of tradition and modernity, East and West, gives Dugin's work much of its power. Reviews have generally welcomed the book, but some have warned against over-estimating the importance of ideology. Vadim Nikitin, writing in The Nation, emphasises the importance of external factors, notably the policies of the United States, in determining Russian policy. The Economist suggests that "Eurasianism is probably best understood as a reaction to trauma." "Russian politicians," warns Geoffrey Hosking in the FT, "usually adopt ideologies not because they believe in them but because they are useful at certain stages of their careers." Put less cynically, it is certainly true that in order to succeed, any ideology needs to address the concerns and circumstances of the time and place. This is something that Dugin's Eurasianism evidently does.